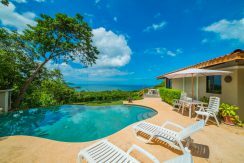 Unique opportunity to own a beautiful home with an amazing infinity pool and a stunning ocean view at a price you can afford! 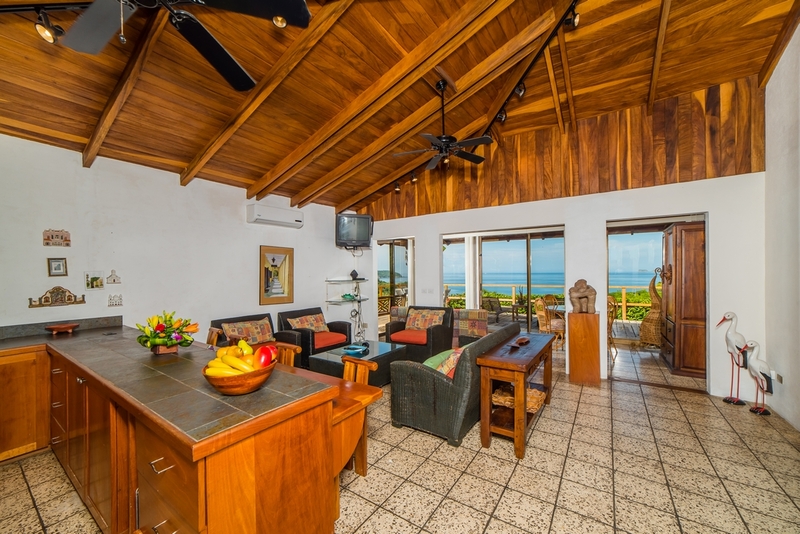 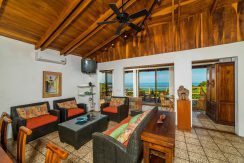 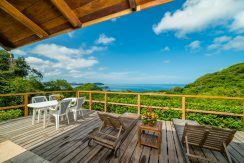 This pretty 2-bedroom, 2-bathroom home welcomes it visitors through an enchanting breeze way, which opens on to a gorgeous infinity pool with breathtaking views of the Pacific Ocean and neighboring islands. 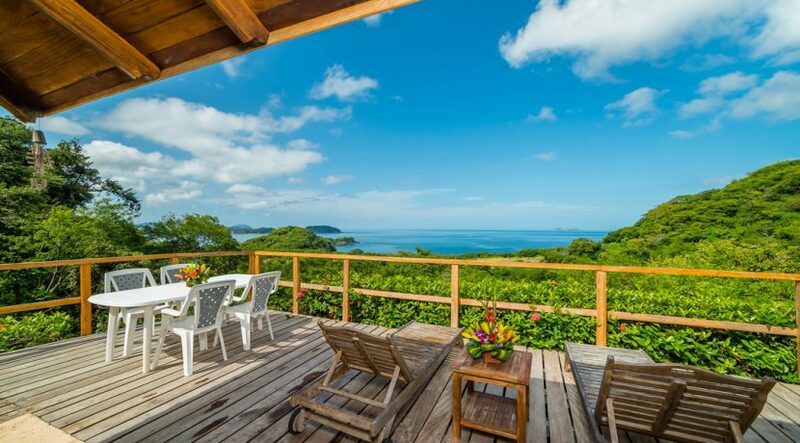 You will not find another ocean-view home at this price point! 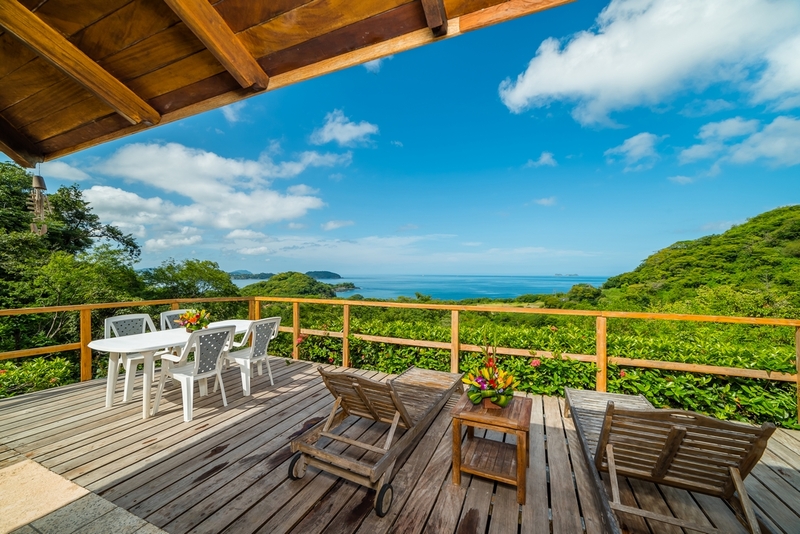 Home is very private, and there is no fear of another home blocking this precious view. 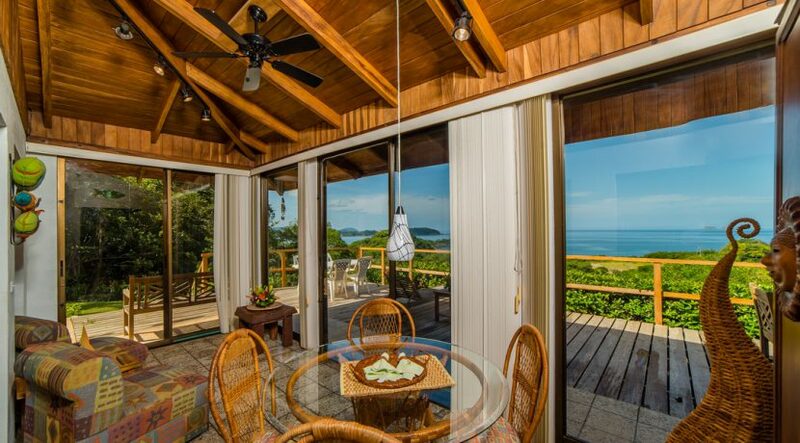 Also located just off a paved road, which is very rare for an ocean-view home! 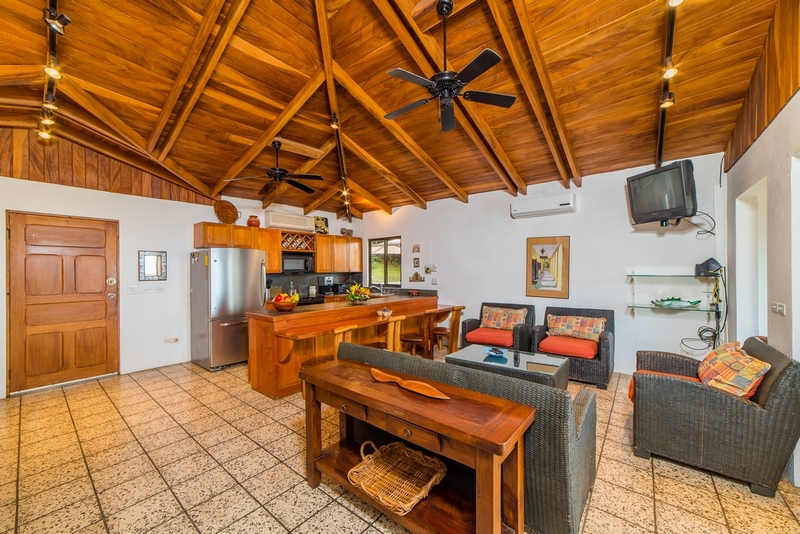 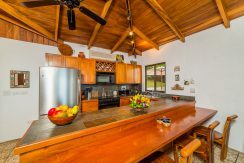 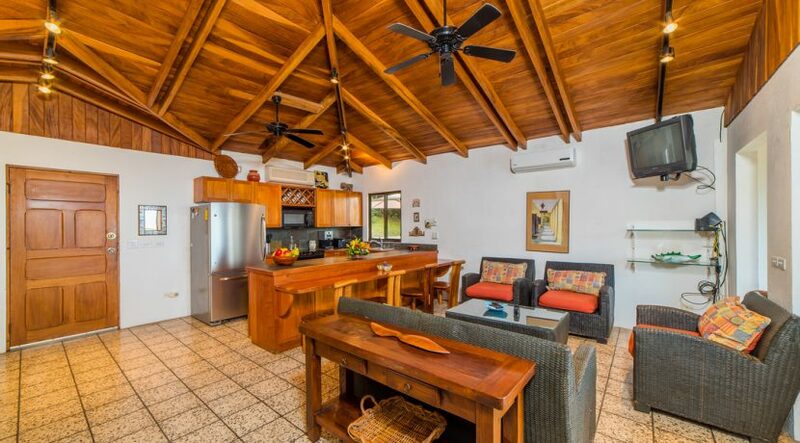 Inside, the home features vaulted ceilings with impressive wooden beams, and a nice layout wherein the kitchen opens into the living area, dining area, and out to the amazing teak deck. 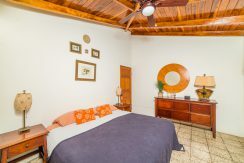 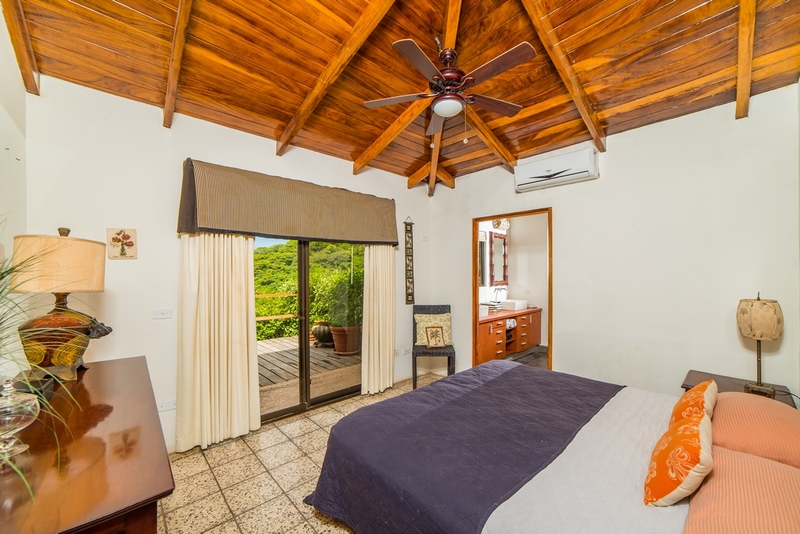 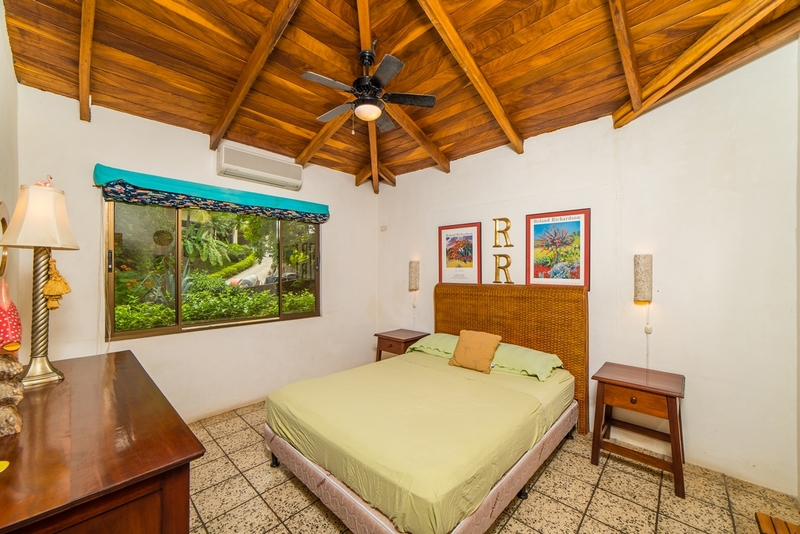 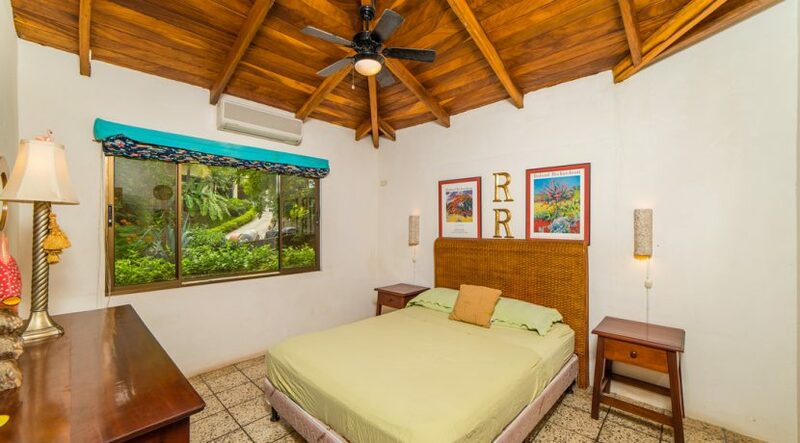 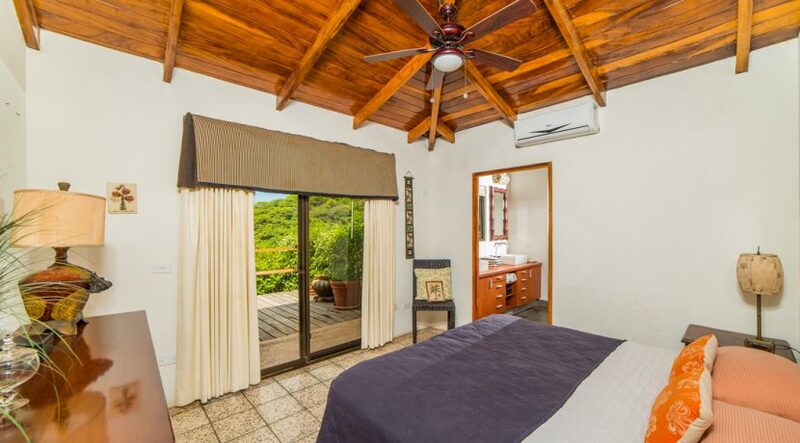 The master bedroom features amazing ocean views and has its own en-suite bath. 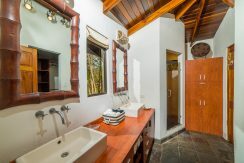 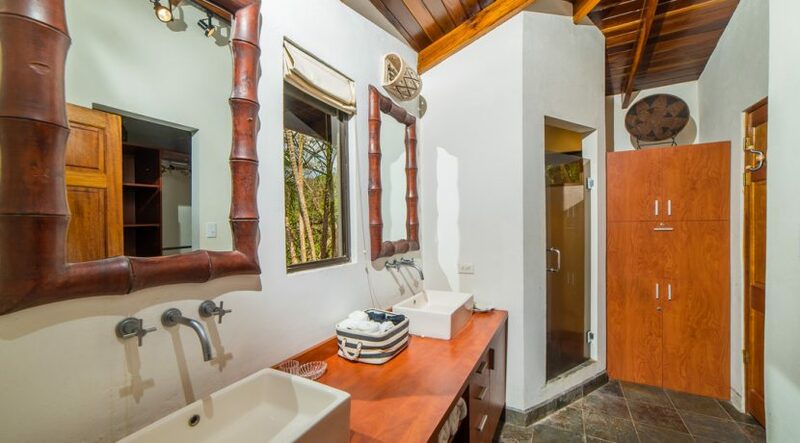 The bathrooms have patterns made of slate and river-rock, adding a unique Costa Rica vibe to the home. 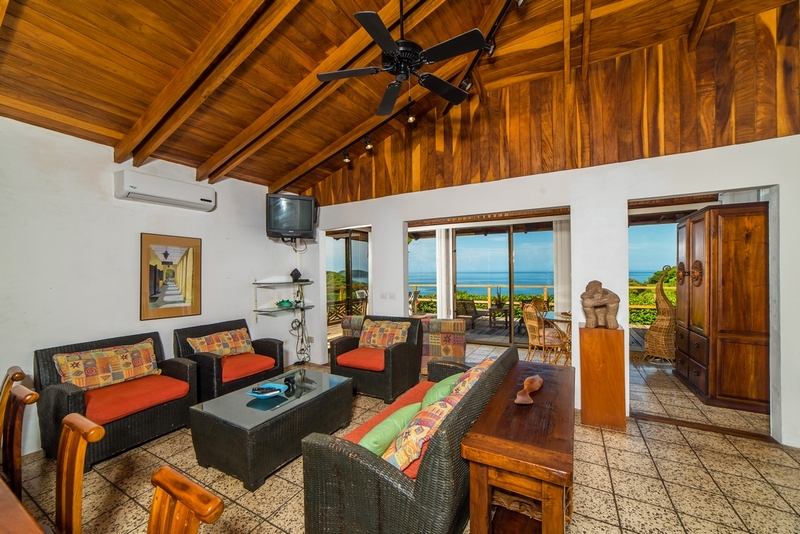 This home comes fully furnished, including its custom furniture and artwork. 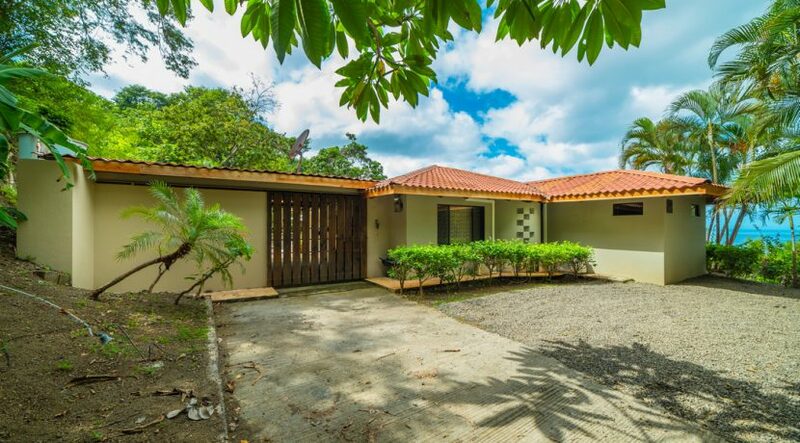 This home has a private drive, a two-car parking area, a bodega (which could be easily converted into caretaker’s quarters), and laundry room. 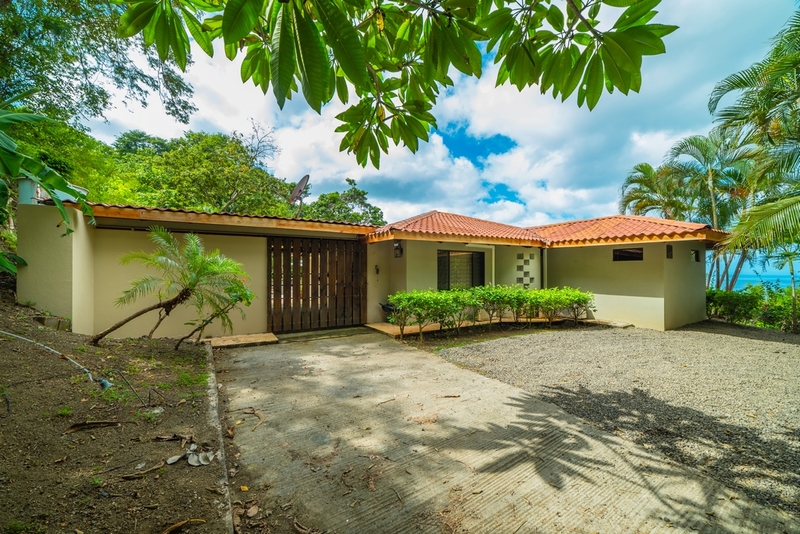 Opportunities for expansion abound on this property! 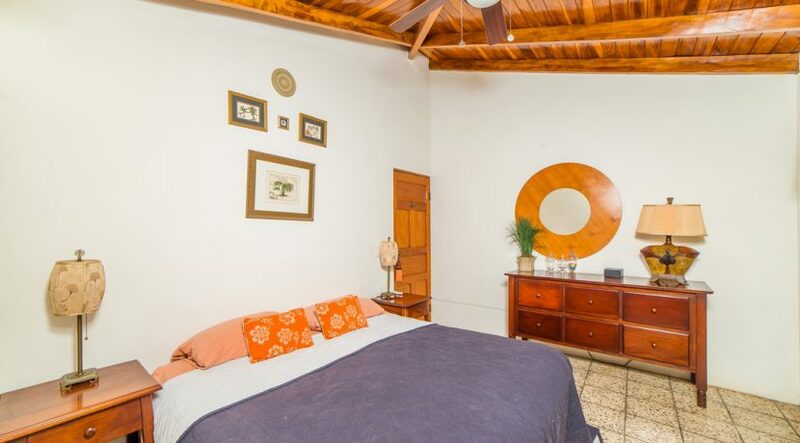 There is room for expansion to add another stunning master bedroom on the second floor. 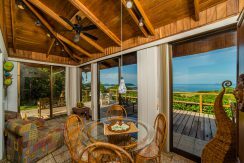 Also, the breeze way could be easily transformed into a screened-in patio, an outdoor living area, or even a secure parking garage. 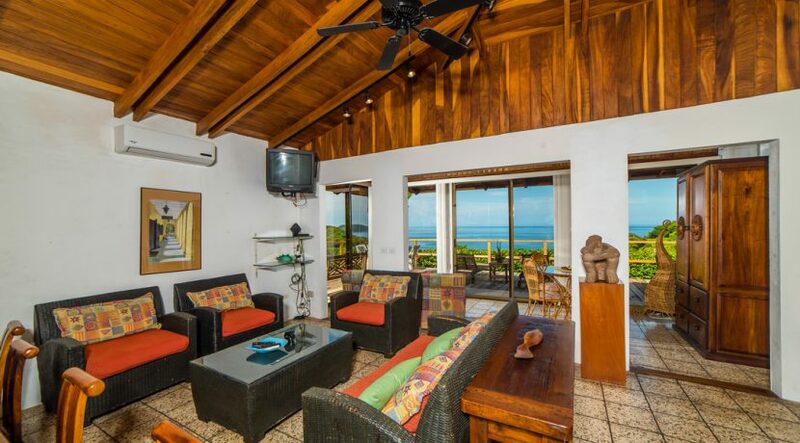 Casa Vista al Mar is just off the main, paved road to Las Catalinas. 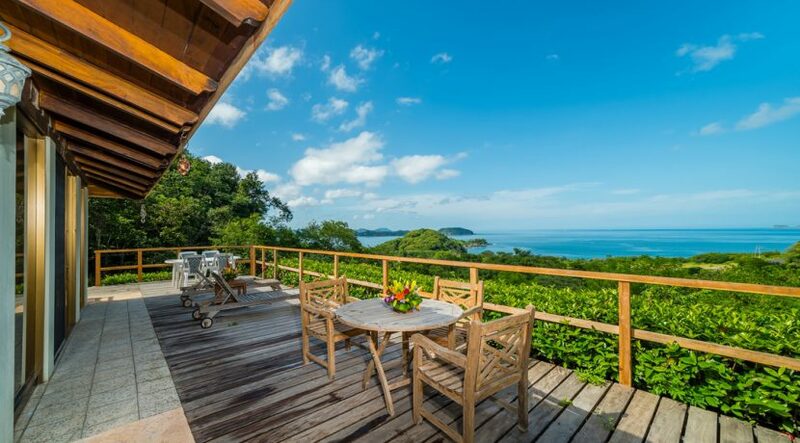 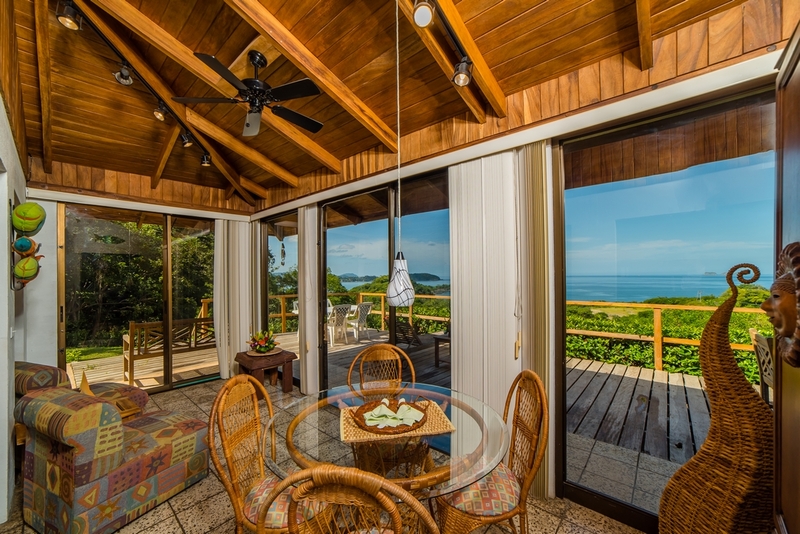 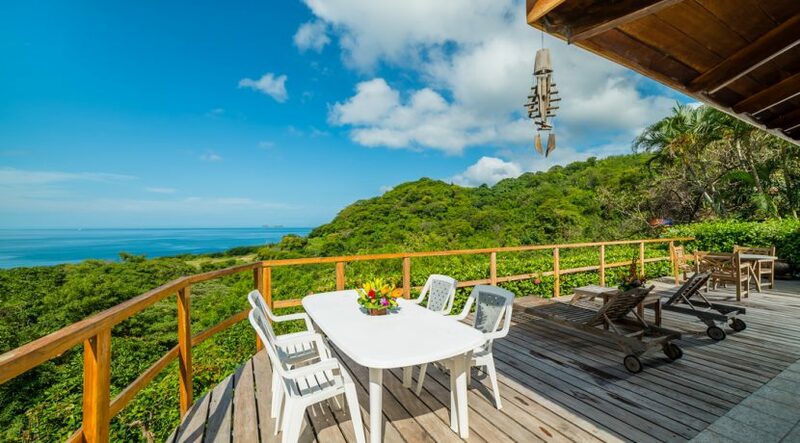 It is rare to find an ocean-view home located directly off the paved road! 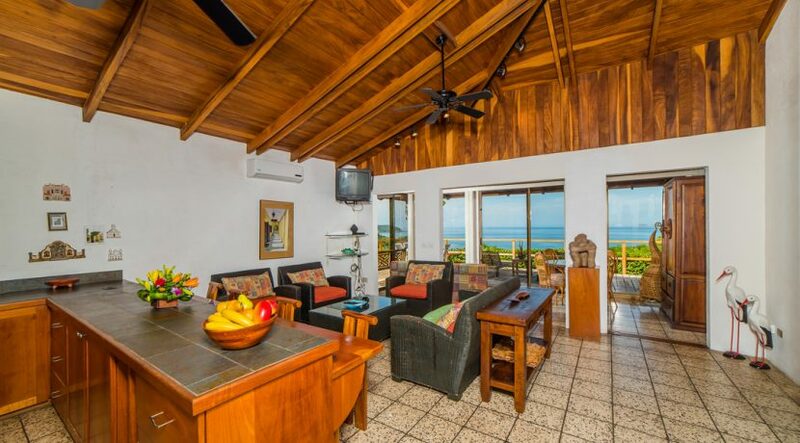 The home is within a 3-minute drive to beautiful beaches, restaurants, bars, stores, and snorkeling. 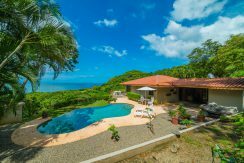 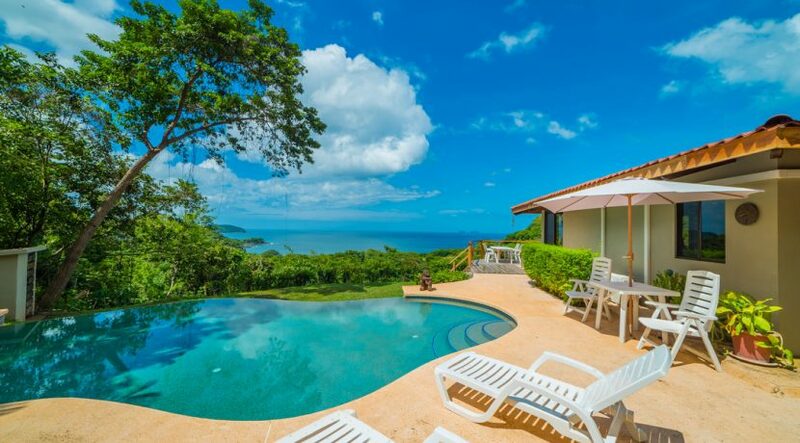 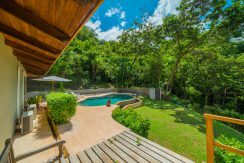 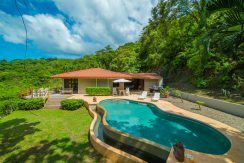 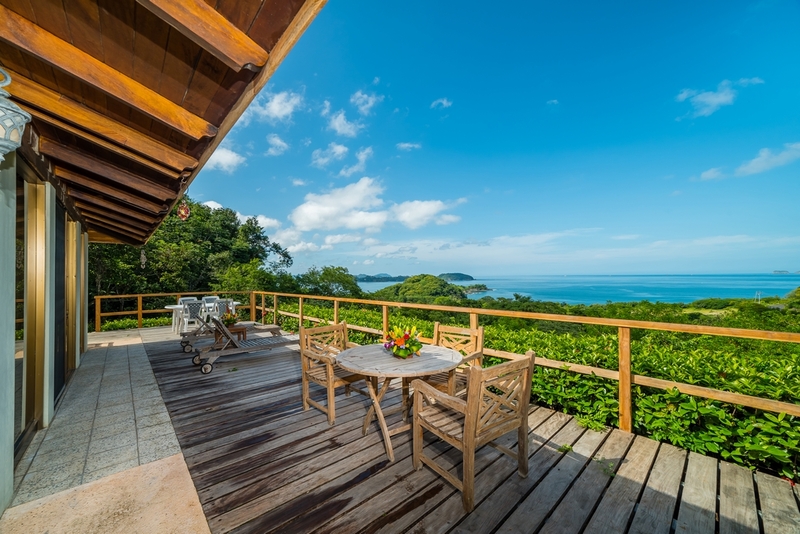 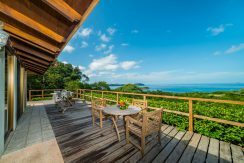 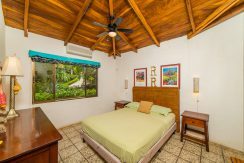 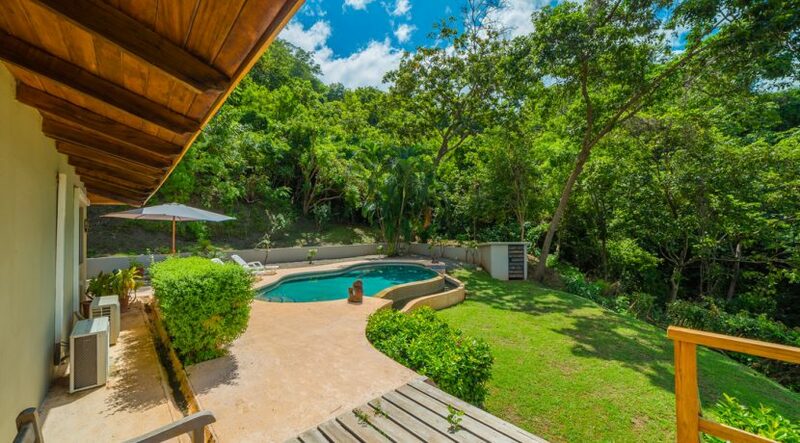 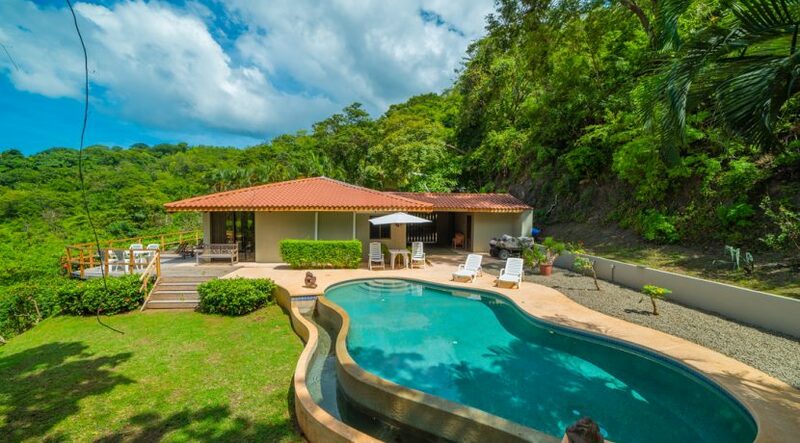 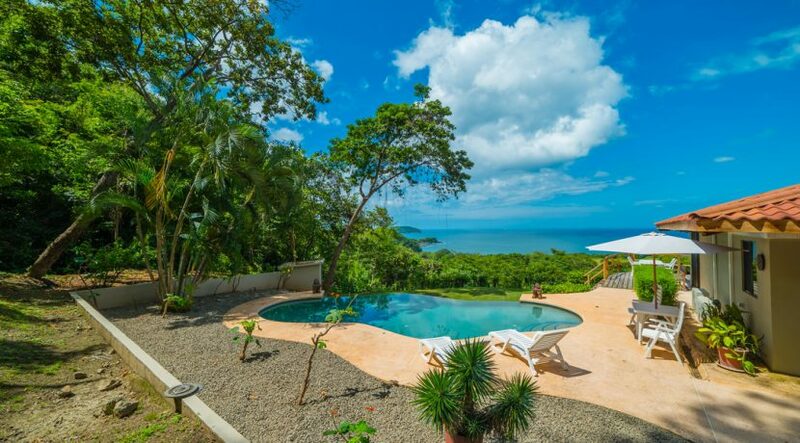 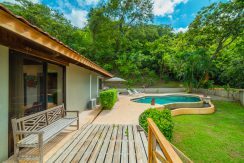 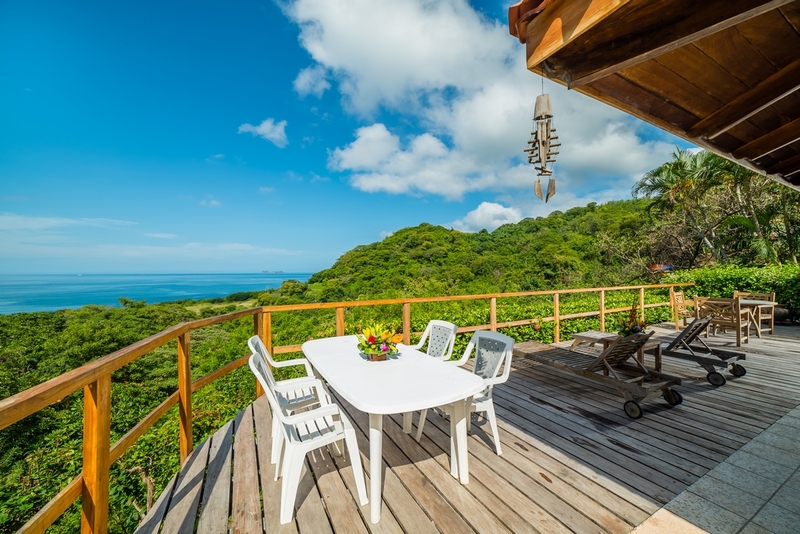 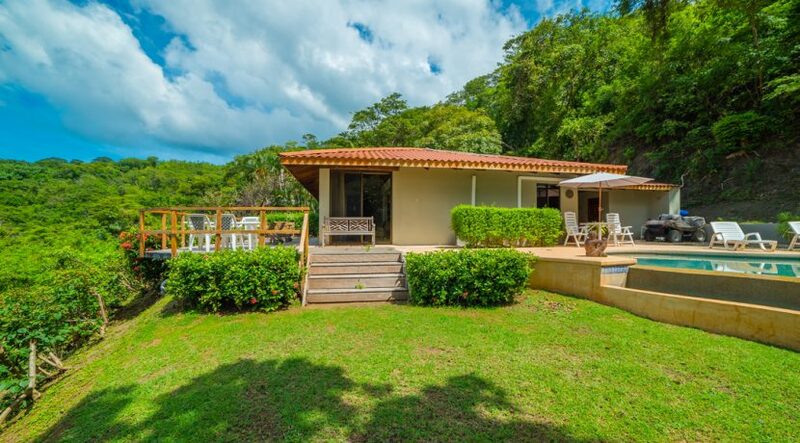 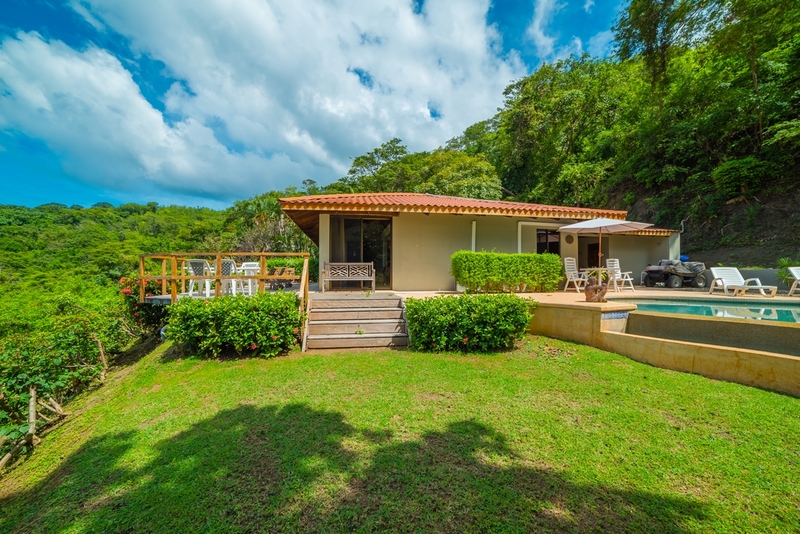 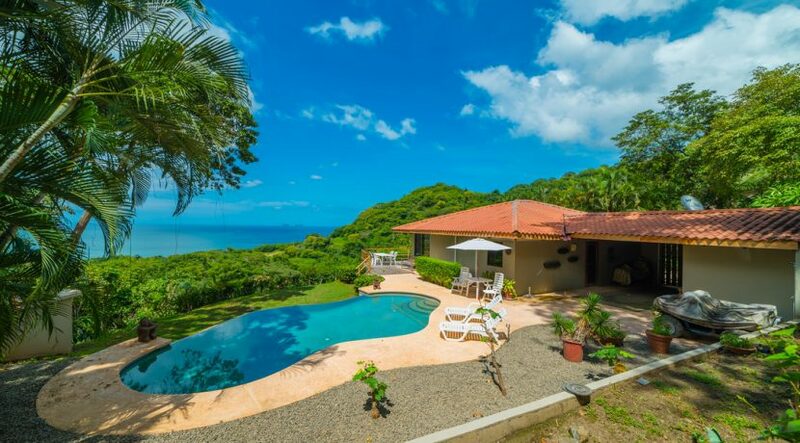 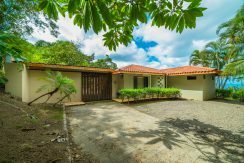 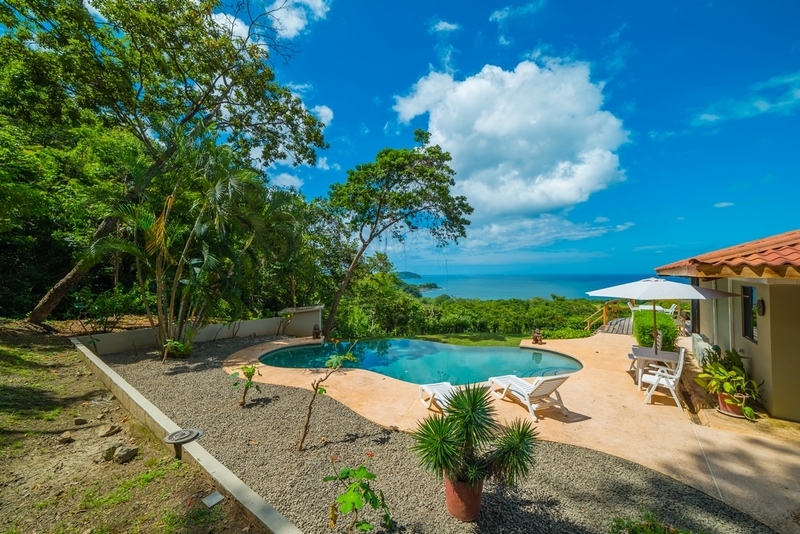 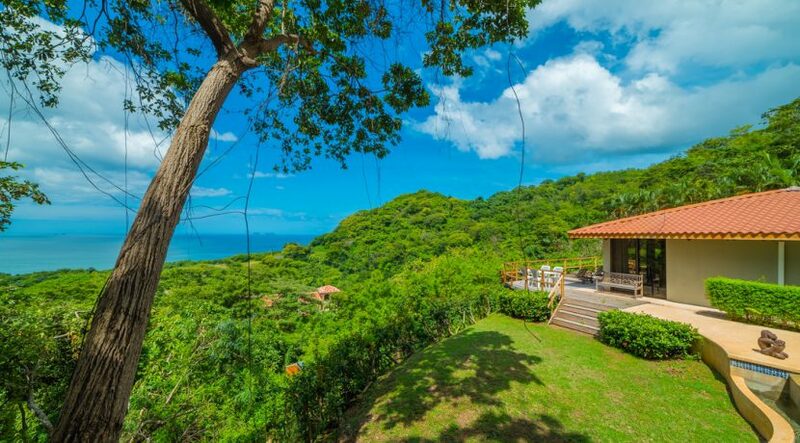 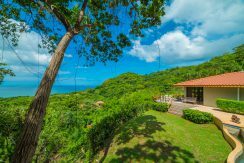 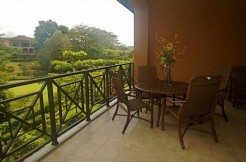 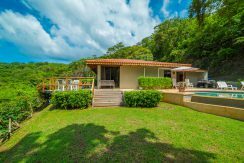 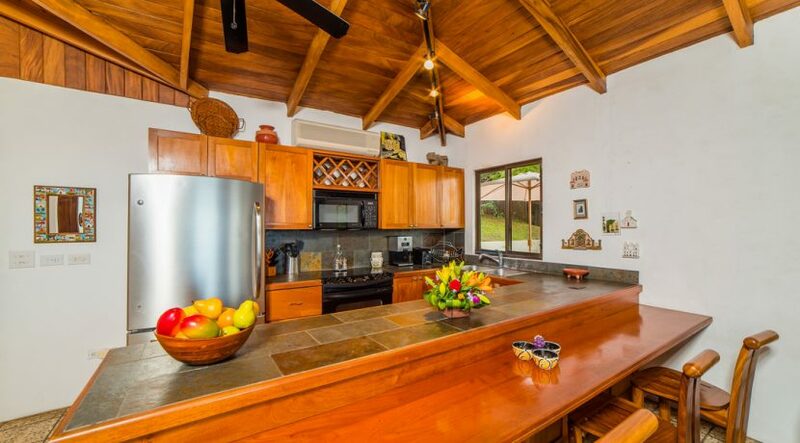 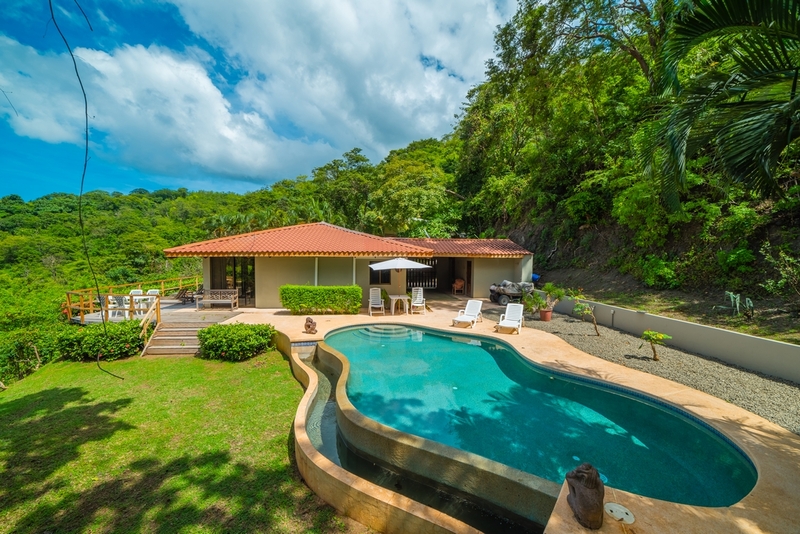 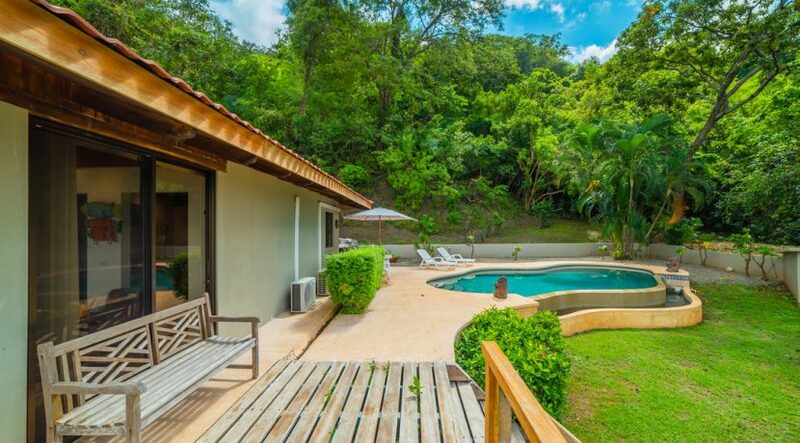 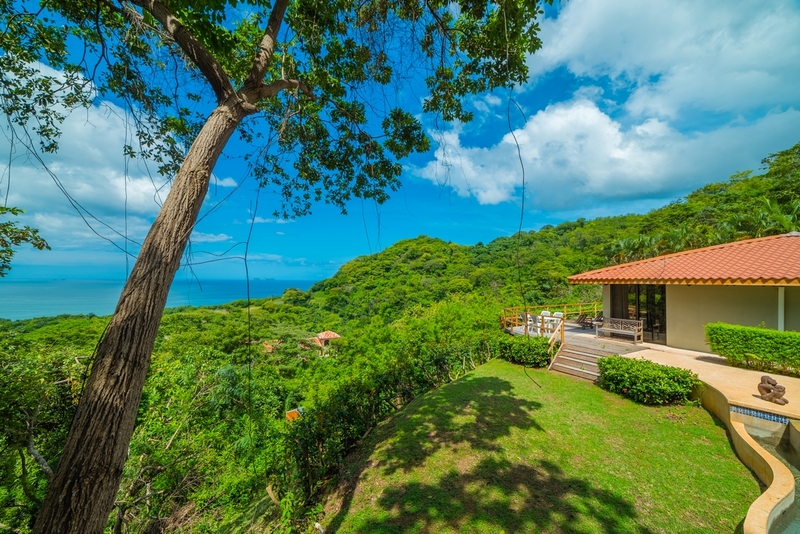 This home is also close to medical, dental and pharmacy services, and two of the most prestigious private schools in Costa Rica, CRIA (f/k/a Country Day) and La Paz.